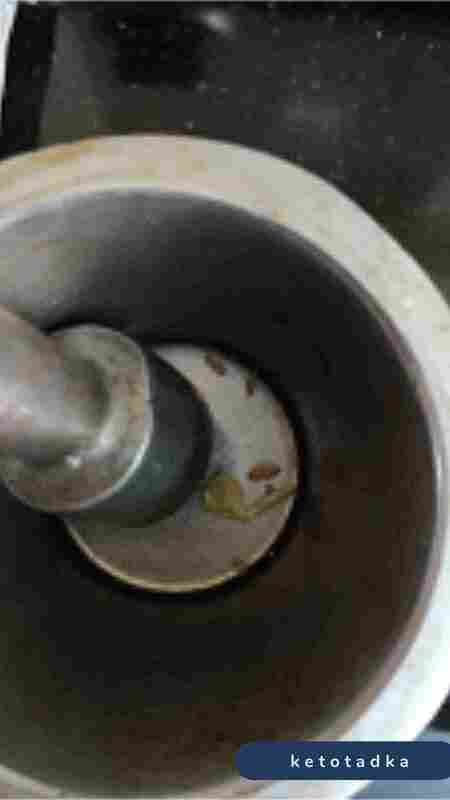 I have been waiting to get time and upload all of my recipes soon. 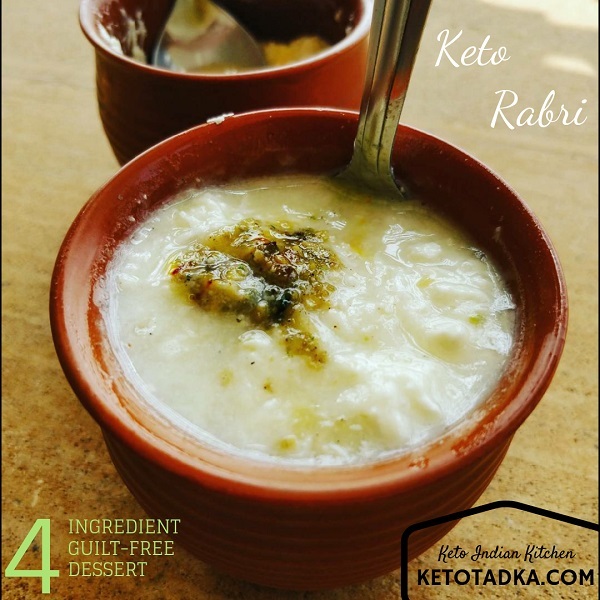 Today, I bring you Diwali Special Keto Rabri, a.k.a Keto Shahi Kheer. Diwali is here, and so is the anxiety ! I am very anxious in festivals only because I feel it is too much pressure to see all the sweets and savouries that are high carb, and not have them ! I have already made low-carb (not keto) chaklis and I cannot wait to update those too in a separate section. Some of you may not cheat, some of you would give in to tempations, because #YOLO . I am going to be in a safe zone of being in moderate carbs (under 100g net carbs) and enjoy the festival without being guilty or deprived ! 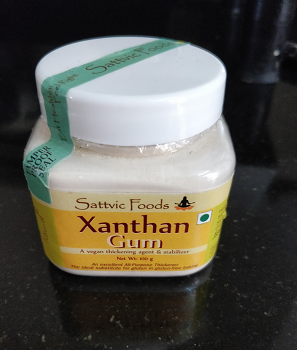 You may want to make some desserts that are guilt-free and here is where I come up with interesting recipes. 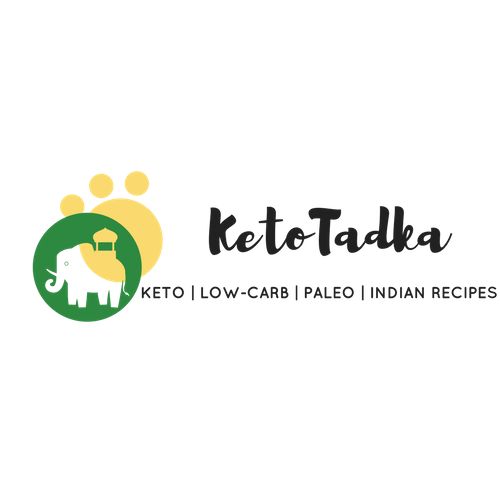 If I can, I will surely update all the low-carb healthy recipes soon. 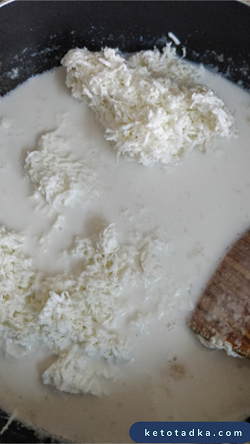 As the coconut milk reduces to half, add the grated paneer and the xanthum gum and mix properly. Stir the mixture and let the paneer cook for 10 minutes. 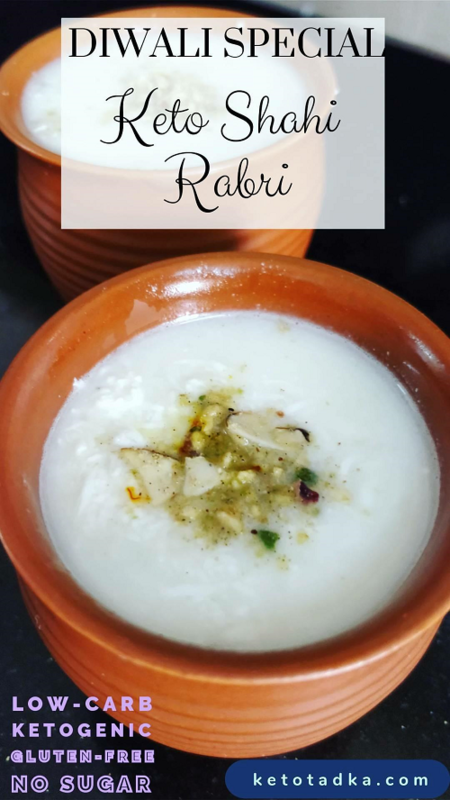 Take 3 bowls/glasses , add the rabri and put them in the fridge for 2-3 hours. This is very important for the rabri to be thick enough. 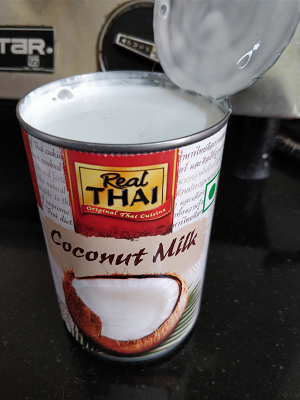 Garnish with some cashews or other nuts and eat it cold. ENJOY !